Jesus has repeatedly mentioned several verses in the Bible where one can endanger his soul of hell. He even used very simple stories to illustrate his teachings to make them easy to understand and very hard to forget. This is rejecting the invitation to peace and reconciliation to our God through our Lord Jesus Christ. If anyone didn’t accept Jesus as his savior and Lord, he is opting himself out of the kingdom of God. Key = Obedience to God’s Calling. Procrastinating the Lord’s calling is the same us rejecting as tomorrow is not ours. Today is the day of salvation. The devil is best known for stealing life. As long as we live in this world, there is no guarantee that tomorrow will come. The truth of the matter is we are so lucky we see the light of the day today. God is giving us one last chance every day until it is all over. The day of salvation is today. Now is the right time to invite Jesus in to our lives. Key = Surrender to Jesus Today. Believe. We may think we can make it to heaven without utilizing our talents and gifts for the glory of God. Laziness is a great deal of sin. God created us for a purpose. It is unfortunate that many of us fail to find and pursue the will of God for our lives due to lack of constant communication with the Spirit of God. 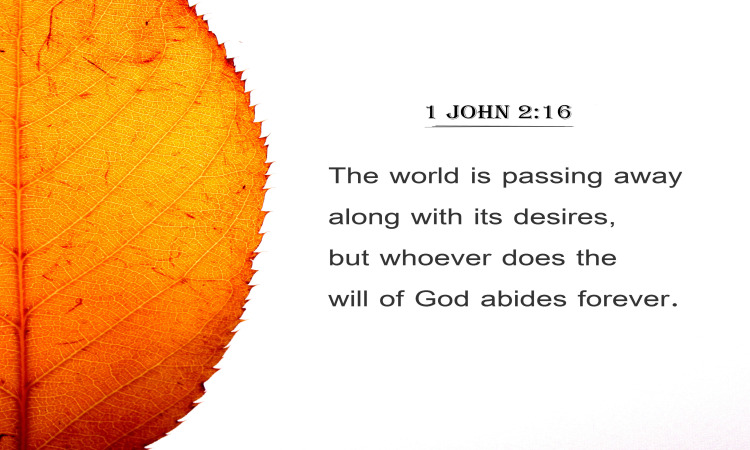 For this reason, we end up leading sinful life which leads to eternal destruction. 5. Fornication. Read Math 25:27. 6. Abusing the stewardship that we received from the Lord. Not only abusing our power but also failure to lead in the right direction is also sin. asting. We need to use the gifts we received from God in a consistent manner as to benefit us and others while bringing glory to God. One of the things that should concern any one who has a good life financially is to find a way to share some of the financial resources to those who are really in need specially to those in a very poor conditions. Jesus said that if we neglect others while they desperately need our help while we can help, he will deny us in front of his angels. We cannot serve money and God at the same time. We will honor one and leave the other. They both need our time, energy and resources. If we love God, we will follow him even if it will cost of everything including money. If we don’t love God we will not give time for his word, worship and prayer. That will lead us to destruction. Some people dare to despise Holy Spirit by denying Him that He even exists. Just because we can’t see Him doesn’t mean He isn’t God. It is a great tragedy to find out He is the one who will cast you down to the lake of fire sooner or later and not having any good relationships with Him. Some people also constantly grieve Him by constantly put themselves in a situation that makes Him grieved. Even if grieving Holy Spirit and insulting his are two different things. It is worth mentioning in this place that both have great bad consequences on our spirituality. 13. Not bearing spiritual fruits (like kindness, self-control, godliness, love) even if we are given a lot of opportunities to have these. The Word of God said, God will cast away any tree that cannot bring forth and good fruit to fire as it has no use when it is expected out of it. We are supposed to bring people to Christ not make them disappear from the church. If any faith relies on one’s own effort in stead of the work of the Spirit of God in our lives, that faith is from the devil. Nothing good can be achieved by our own except through the one who has the power to do good in people lives. Jesus told us not to believe all who said they are prophets. In fact, Paul wrote to us to examine each spirit and find out if they are sent from God or not. Even though we are also instructed not to despise the gift of prophesy. uld not expect some prophet from somewhere to solve all our spiritual problems. That is just impossible. Only God through the power of Holy Ghost that is working actively within you can change you and your situation. No one can substitute the manifestation of this amazing power that is actively engaging in your life – Holy Ghost. ristian, God has given us a Spirit that will test and know if a person is a baloney prophet or real. We can also tell from their fruit. If they consistently preach the kingdom of God with out shaking and give to the poor and not exploit the people of God, they might be from God. Again it needs the voice of the Holy Spirit to confirm or deny any one with a prophetic spirit. However, I would like to emphasize that working miracles is not indication if a person is from God or not. Hypocrisy is a great sin in the eyes of God. In short words, hypocrisy is when one’s internal feelings (the reality) are completely different from his external behavior(fake) for the sake of gaining power, respect and fame from others. In other words, we pretend to be someone in sheep’s clothing while we are completely a different person in side. We pretend to be nice, generous, meek, righteous, powerful while we are really far from these. It is not bad to want these. However, it is a sin to pretend we have these while we have not. Why we pretend we have these while we haven’t is because we want other people respect as society gives more dignity to those who have these things. But God despise hypocrisy. Because He is the truth and he doesn’t align himself with a lie. Being worried too much weakens our faith in Jesus and opens a wide range of opportunities for the devil to attack our faith in Christ. As the head of a family myself, it makes me sad when I see my children to shake and tremble during little encounters like a scary situation or when we deny them things that are direct threat to their health. On the other hand, I was very delighted when they completely rely themselves on me and let go of their situation, like when they are in deep sleep and we carry them to bed. 19. For whoever wants to save their life will lose it, but whoever loses their life for me will find it. Very powerful expression. The word of God is simply amazing. We may read several inspirational and spiritual books and squeeze them together and not even close in wisdom with one sentence like this one from the Word of God. I have watched several inspirational movies and read many articles about life. Most of them preached about having a good life in this life, to love life and have it in abundance. But the Bible just told us in fact if we try to save our lives we will lose it and if we lose it (for the sake of God) we will find it. This simply means we are not created for us. Any one who understands this principle has already lived life abundantly. We are the salt of the world. Salt is not salt for itself. It is only when you put salt in your food that will find its meaning and purpose. What does it benefit for a man if he gains the whole world and loses his soul? Nothing! Or what can anyone give in exchange for their soul? Nothing! Our soul is way greater than anything we can possibly accumulate in the world. God created us for a purpose and that purpose is to enlighten others to have everlasting eternal relationship with God through our Lord and Savior Jesus Christ. Everything else is just for a while and will not be there forever! etly adore and worship instead of our Lord Jesus Christ. It could be wealth, or addiction, or friends, or family, or profession, or education – anything we are so proud and very independent of the need to cling to Jesus. If we love any thing more than we love Jesus, then we don’t deserve to be a follower of Jesus Christ. But our Lord is a compassionate God.
. He didn’t desert us when we cling to our idols and not him. He always finds a way to separate us from our pride and makes us walk with Him a little bit closer than before. He does that for a reason. Sooner or later we are going to depart this life and leave everything here since we didn’t bring anything in to the world. Therefore, it is only fair to treasure the Lord’s friendship and cling to Jesus only and nothing else..